As you all know we have been running a competition through our DataSpace Facebook and Twitter pages over the past month. 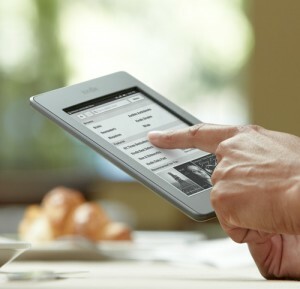 If you liked us through Facebook or followed us on Twitter you would be in with a chance to win a Kindle Touch. Congratulations to Alan Woods from Woods Square Birkenhead. We hope that you will make the most of your Kindle whether you are heading off on holiday and fancy a summer read or simply to relax and enjoy in the comfort of your own home. If you are yet to visit our Facebook or Twitter pages then please take a look. Every day we post useful and informative articles and advice. From articles we read in the press to updates from our blogs, our services and anything else that is going on at the DataSpace HQ. Here at DataSpace we have a range of services to help protect you, your business and your data. From archive management to document scanning and hosting solutions. All of our products are designed with you and your business needs in mind. We also have a Brainloop secure dataroom which is a partnership with the German IT solutions company. This provides a secure online work space that you can use with colleagues, clients and partners. It is a highly confidential space that gives you 24/7 access to your data, anywhere in the world. As a business we understand the stresses and strains that daily work life can put on you, which is why we work to take some of these away from you. To find out more why not call us today?